After the war, Millman joined the staff of the Dominion Observatory in Ottawa, and he was the president of the RASC Ottawa Centre from 1945 to 1950. In the early 1950s, after Frank Hogg had passed away and Helen Hogg was writing the Star’s astronomy column, Millman started another such column in a competing paper, the Toronto Telegram. The Telegram’s astronomy column was printed almost every Saturday from 1951 September 15 until 1967 October 21, and after that it was printed once monthly until 1971, April 24. The Telegram ceased production at Halloween 1971 and was “eclipsed”, becoming the Toronto Sun which is still a very popular paper. The Hoggs’ column in the Star was featured in the January 2011 Bulletin. Helen Hogg was a popular astronomy outreach specialist, discussing her “real” work with variable stars, new topics in science, work trips she had made to other observatories, new sights in the sky and basic astronomical ideas. She freelanced her column, and drew freely from it when composing her popular astronomy book The Stars Belong To Everyone. Millman’s interests were more specific than Hogg’s, and this comes across in the subject matter he chose for his weekly columns. Any news regarding meteor showers, meteorites, asteroids or artificial satellites in the 1950s was very likely to get printed in Millman’s Telegram column. Millman’s column was also often richly illustrated with his own hand-drawn art, whereas Hogg’s column was usually just text with a few charts. Hogg’s column courageously described the Hertzsprung-Russell Diagram and T Tauri stars for the public more often than Millman did. Any current events such as Comet Arend-Roland, or Canadian news such as impact craters being discovered in the Canadian Shield, was as likely to be published in one paper as in the other. Millman also set aside more copy for basic familiarization with the constellations and the seasons. Although his choice of material may seem unadventurous to a trained astronomer, Millman hoped that these newspaper columns would be read by interested members of the public who knew little about astronomy. Five cents for a newspaper was a small price to pay to follow up on Laika, the Russian space dog, or the UFO reports (Millman was a UFO skeptic, and the usual suspects such as shooting stars, satellites or the Northern Lights were of prime interest to him.) 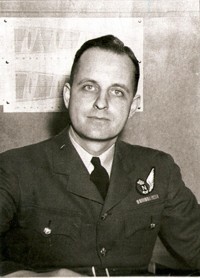 The Canadian Black Brant rocketry program and Gerald Bull’s experiments with launching satellites by cannon were described several times. Likewise Millman had a good understanding of how observatories should operate in the future; he was the first to advocate locating a large Canadian research telescope in the Southern Hemisphere, although that was never described in the Telegram. He never described the planned giant Queen Elizabeth II Telescope on Mount Kobau, BC although that observatory was funded starting in 1964 (the QEII telescope plan was cancelled in 1968.) In the 21st Century, accordingly, almost all of the telescope time afforded to Canadian university astronomy researchers is allocated in South America, Hawaii or in outer space. He reported on other trips as well, such as to Regina to visit the burgeoning amateur astronomical observatory there, to the historic Brydone Jack Observatory in New Brunswick, or to Japan (Millman spoke fluent Japanese having been raised there). As the years went by, Millman’s contributions to the Telegram became less opportunistic. The newspaper had its own staff and bureau writers or wire services to report on the NASA space program in great detail, but the column written by the professional astronomer was marginalized, almost stopping completely after 1967. Perhaps Millman’s other responsibilities became too much: at different times he was the national president of the RASC (1960-62), president of the Meteoritical Society (1962-66), chairman of various IAU committees on meteorites and solar system nomenclature, the NRC Associate Commission on Meteorites, also serving on committees with the Canadian Astronomical Society, the Royal Society of Canada, the American Astronomical Society and the Smithsonian Institution. The astronomy columns simply stopped showing up in the newspaper in the spring of 1971, but in the grand scheme of things, a newspaper such as the Telegram that was losing almost a million dollars a year (in 1971 money) clearly had more pressing problems. It’s not clear how Millman was compensated for his newspaper work. Like Helen Hogg, he had other writing projects, and borrowed from his own work. 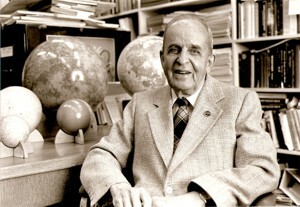 His series of eight lectures popularizing astronomy for CBC Radio were published in book format in 1961 as This Universe of Space, illustrated with drawings he had previously, or would later print in the Telegram. We know Hogg’s columns were freelanced, but forty years after it folded, SunMedia Corp. which owns the old Telegram catalog cannot establish whether or not the author retained the rights to his material. Unlike the Toronto Star, the Telegram archives are not kept online, so to look up a column you have to visit a central library with an extensive newspaper microfiche. Please browse these materials for your personal use only.